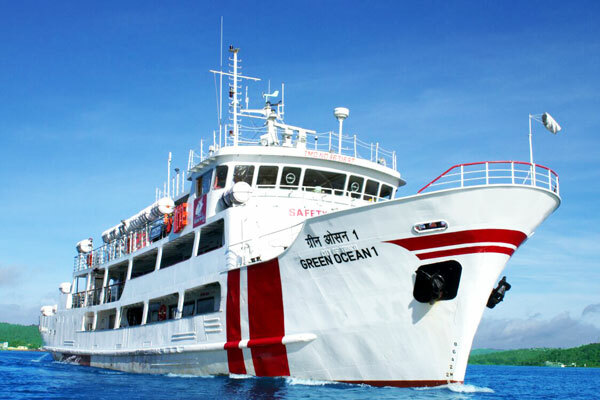 GreenOcean cruise is the first and the only all weather deep-sea vessel to operate between port Blair and Havelock to provide unparalleled experience. With consciously designed space on board ship to facilitate unrestricted movement for the guest to enjoy the scenic beauty of the islands as it unfolds towards their voyage to Havelock island. On our ship you never will be confined to comfort of seat but can be free to move and catch some air. We are proud to offer unparalleled service, safe, eco-friendly, unforgettable experiences for our guests while on vacation onboard green Ocean cruise. To maintain this highest quality, Green Ocean Cruise is a completely sustainable company with strict regulations in our operations and sustainable policies with the ecosystem, human development and community support in Islands. We provide comfortable maritime transportation via our Spacious deep sea vessel to give our clients the opportunity to enjoy a relaxing, entertaining day tour cruise .Our guests savour fine dining on authentic Indian food while luxuriating on a beautiful green forest , white sand and blue sea. Copyright 2018 Green Ocean, All rights reserved.